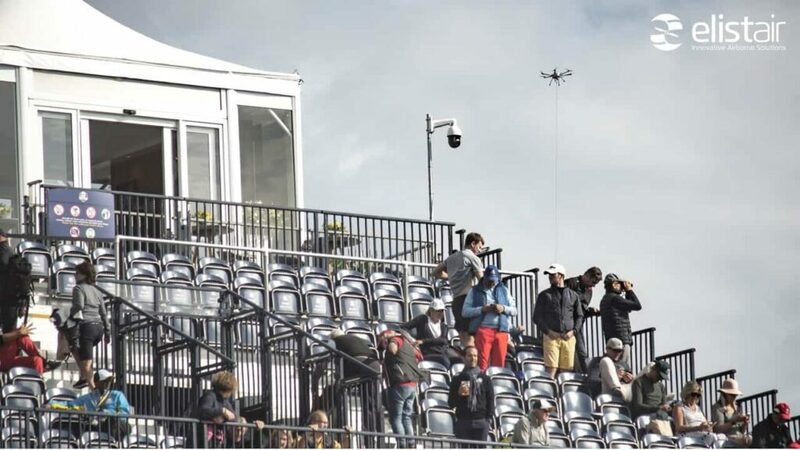 Elistair has announced that its Orion tethered UAS (unmanned aerial system) was used by the French authorities to ensure continuous aerial surveillance of the 2018 Ryder Cup, held in Paris. One of the biggest international sport competitions in the world, the 2018 event drew a live crowd of 300,000 spectators. Tasked with securing 193 hectares and 50 000 visitors per day, the French authorities in charge of coordinating the security arrangements drew on a range of resources with 800 police officers, security forces, firemen, police dog teams and anti-drone technology deployed. Carrying on from previous successful deployments at large events (World Endurance Motorbike championship and the Ferte Alais Airshow), Elistair’s Orion tethered drone was selected and used by the Paris Police Department and French National Police. The deployment of the drone was carried out by the security branch of Delta Drone, a French drone service company with support from Elistair. From Thursday to Sunday, the Orion drone flew continuously during daylight hours, 8 to 11 hours per day, watching over the 300,000 attendees of the Ryder Cup. The Orion was tethered to the ground which ensured continuous power supply, secure communications and physical safety of the drone. The live imagery from its day/night camera was broadcasted to the main control room, providing situational awareness to commanders for quick decision making. The control room had on-demand access to aerial views of the entrance, greens, stands and the perimeter. This allowed the security forces to prevent intrusions, detect incidents as well as monitor crowd movements. As the number of rogue drone incidents increases, tethered drones provide a maximum level of safety and assurance for forces tasked with securing large events, while offering persistent coverage over a large area.